In the title story of this dazzling comic collection, a psychology professor delivers a lecture that segues into a confession of an embarrassing affair. An elderly man worried that his life is going downhill heads to an Indian casino in hopes of some relief. A recently divorced man arrives half an hour late to a bachelor party to find that the frightened groom has sent everyone else home. A reclusive writer visits a small college at the invitation of a former student, and nothing goes right. Funny and generous, these stories are virtuoso performances–moving forays into disconcertingly familiar territory that line the often slippery boundaries between masculinity and humanity in American life. 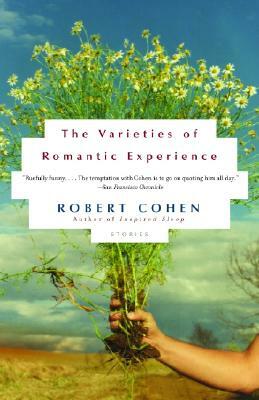 Robert Cohen is the author of three novels, The Organ Builder, The Here and Now, and Inspired Sleep. His work has been awarded a Whiting Writers' Award, a Lila Wallace-Reader's Digest Writers Award, The Ribalow Prize, and a Pushcart Prize, and has appeared in a wide variety of publications, including Harpers, GQ, The Paris Review, The Atlantic Monthly Unbound, and Ploughshares. He teaches at Middlebury College in Vermont.